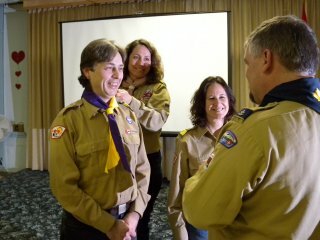 1st Gibsons Scouts is operated exclusively by volunteers. Mostly parents of youth who are in scouting or who were in scouting. Yes! 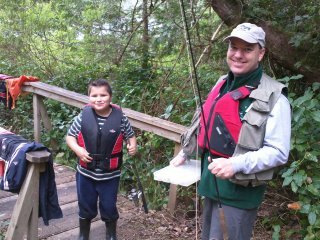 Volunteers have so fun much that they stick around years after their kids age out of the program! Scouts Canada has comprehensive policies and requirements concerning volunteers but also provides a wide variety of training. A clean Police Records Check and Vulnerable Sector Check (your council will have forms or advise you on how to obtain them). If you are accepted as a volunteer, you will take training that will teach you what you need to know to become a great leader. Training is available online in short modules for your convenience. Parents are welcome and encouraged to volunteer at meetings and camps but must first review the Scout Canada "Safe Scouting for Parents" training module. This module outlines our code of conduct and our policies that are related to the safety and well being of the youth. It is available online through your personal login. In order to attend certain events you may also be required to provide a clean Police Records Check and Vulnerable Sector Check.